You promise to pay us the principal amount of $3,500.00, plus a time price differential accruing on the unpaid balance at the rate of 9.90 % per year from today's date until maturity. The time price differential accrues on a 365 day basis. After maturity, or after you default and we demand payment, we will earn finance charges on the unpaid balance at 9.90 % per year. You agree to pay this Contract according to the payment schedule and late charge provisions shown in the TRUTH IN LENDING DISCLOSURES. You also agree to pay any additional amounts according to the terms and conditions of this Contract. Smooth running luxury vehicle with a 4-speed automatic transmission mated to a powerful 255HP 3.5 V6 engine fully loaded power windows, leather power seats, power rear sunshade power mirrors, dual illuminated vanity mirrors, moonroof BOSE audio system, cruise control power trunk /fuel door release, fog lamps, understated luxury with plenty to offer in this price segment. Come in for a comprehensive test drive. $2995 IS OUR CASH SPECIAL ON THIS CAR... THIS PRICE DOES NOT COMBINE ANY OTHER OFFER. 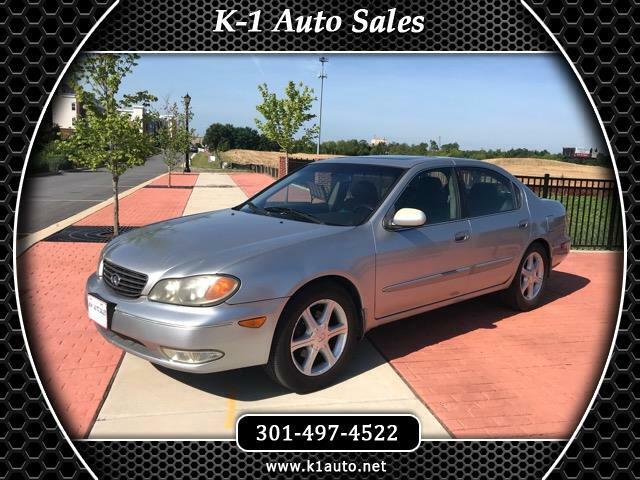 Visit K1Auto.net or email us at K1autosalesllc@outlook.com to see more pictures of this vehicle or call us at 301-497-4522 301 800-7227 today to schedule your test drive. Our only car got wrecked and we needed a car to get back and fourth to work and only had about 1500 to put down, the friendly staff at K1 hooked us up with a really nice low mile car with payments that didnt bust my wallet my and best of all they gave me a three month warranty at no additional cost.